Despite Sunday rocket fire, Israel implementing ceasefire agreement with Gaza's Hamas, expanding fishing zone. 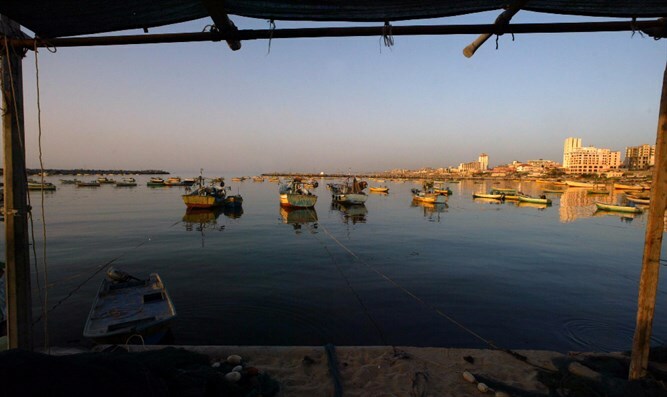 Israel has begun implementing the agreement with Gaza, expanding the fishing zone to 6 nautical miles in northern and central Gaza, Al-Akhbar reported. The Arabic newspaper also noted that the fishing zone will be further expanded to 15 nautical miles later on. According to Al-Akhbar, Israel is allowing additional trucks into Gaza, and a foreign delegation will arrive later this month to follow the Hamas-led enclave's humanitarian situation. At just prior to 5:00p.m. Sunday, Gaza terrorists attempted to fire a rocket at Israel. The attempt activated Israel's Color Red air raid sirens, but fell short of the border. Earlier on Sunday, at 12:45a.m., five rockets were fired from Gaza into Israel, landing in open fields.